� Training to become the best athlete one can requires mental, physical and emotional determination.� Many times, athletes hit a plateau while training, which can hinder overall performance and confidence levels. Not only does training allow the body to build up strength and endurance, but it increases motivation and self-esteem. Think about the feeling you get, when you set a goal and work hard to accomplish that! Training also allows athletes to gain more knowledge of their sport as well as learning the importance of having a healthy mind and body. Healthy mind equals heathy body. I got the pleasure to interview with owner of Full Circle Coaching, Erinne Guthrie.� At Full Circle Coaching Erinne and her staff work to help you accomplish your goals.� You never know how you will enjoy trying a new sport, so don�t be afraid to push your boundaries out of your comfort zone. JF: Go ahead and tell me a little about yourself. How did you get into the sport of triathlons? Inspiration? A group of friends in 1997 decided to do the Huntington�s Triathlon on Key Biscayne � I borrowed a bike wore my bikini and placed on the podium � I was hooked! 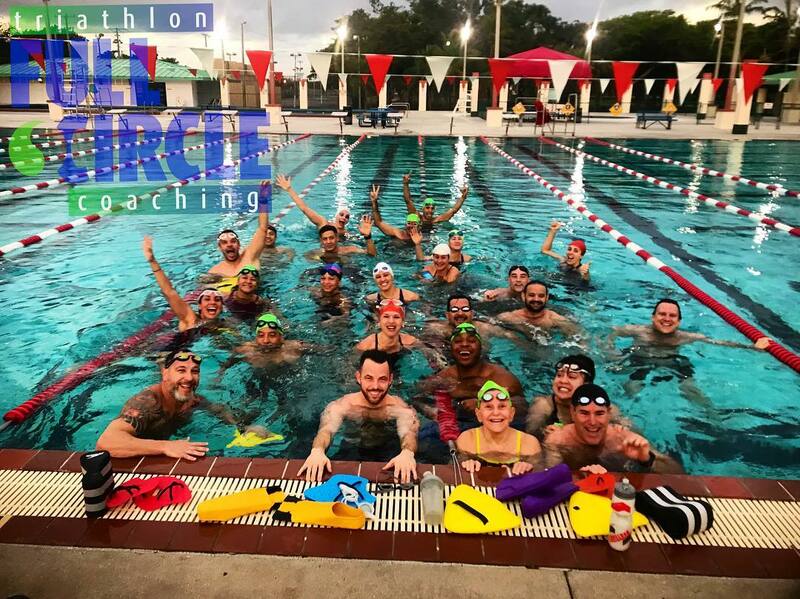 How does Full Circe Coaching help to train/motivate triathletes? We treat all athletes with the same amount of attention whether they are brand new and don�t know how to swim, bike or run or they are ready to qualify to Kona, or get to Nationals or on the podium. We work on skills, strength and mobility before going long in training volume which helps to prevent injuries. We also include strength training and holistic nutritional advice to keep our athletes healthy. I have 3 other coaches that are experts in their discipline so every training session is coached. We don�t have exercise classes. We are educating you the whole way- the group aspect makes it tons of fun too. What has been your biggest accomplishment? My biggest accomplishment besides of course my 11- year- old daughter Kaia Blu, is Full Circle Coaching. It is the embodiment of a holistic triathlon lifestyle community. I am so proud of my coaches and my 50+ athletes and the community we have created. It really is a close- knit Triathlon Tribe. My whole focus has been quality coaching with relationships that grow the ability of the athlete to help them achieve their goals in health, fitness and triathlon. My biggest challenge is juggling being a Mom, Business Owner, Coach, girlfriend and Triathlete. I have systems in place that allow me to do it all. I believe in practicing what you preach and being an example to my athletes. I would never be able to take advice from an over weight couch potato if I wanted to be a triathlete. So, I live this principle of being an example to my daughter and athletes. When I am training and racing, everything is better in business and life. I practice the triathlon lifestyle and I know how good it feels to accomplish my goals. Which event (swim-bike-run) is your strongest/weakest? And how do you overcome pushing through when you feel like giving up? My strength is swimming for sure just because I really think I was a mermaid in a previous life! Or a dolphin. I absolutely love being in and under water. It is my happy place. But I love my bike and run too. Sometimes after a ride I think to myself �is it possible to be in love with an inanimate object, like my bike?� And running just gives me that high that no other sport can. I have had my share of struggles on the run but am happy to say I am healthy right now with no injuries and practicing all three sports weekly. What is one piece of advice for someone who is just getting started in training to compete?� The best advice I can give is to really take your time in learning the skill of swimming, biking and running and getting the strength in your muscles and joints before going on extra long training or racing sessions. There is this obsession in our sport with Ironman and going long. There are people out there just trashing their bodies with overuse injuries because they do not have the core strength stability and mobility to be handling all the long miles. If you cannot balance on 1 leg for 30 seconds- your really should not be running at all! Strong before Long! Lastly, will we see you at Swim Miami this year? Of course, one of my favorite events each year. It is always on the Full Circle Coaching Events Calendar. This year I am thinking of doing the 800 and the 1 mile. My whole team will be there. 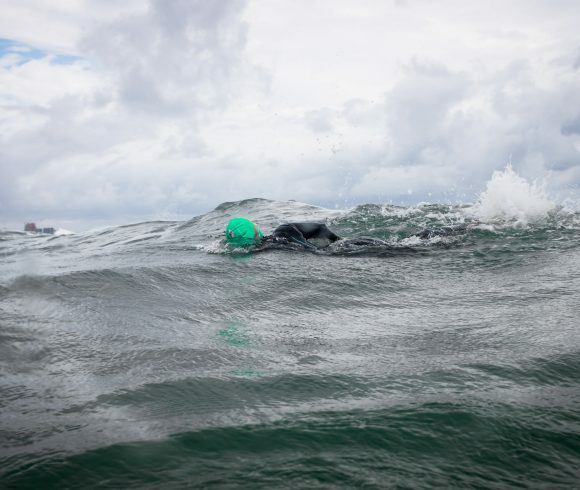 It is such a great way to see how much you can push the swim without having to worry about having to bike and run after!